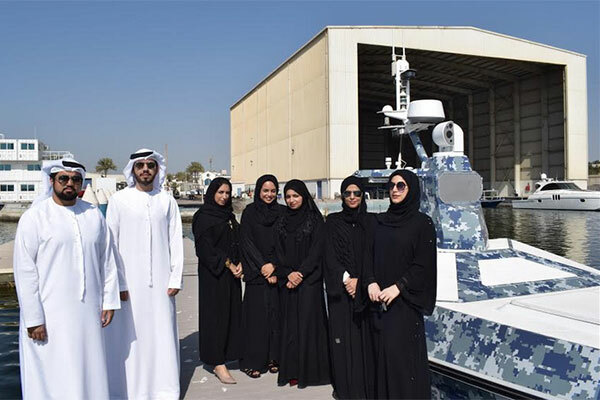 Al Seer Marine, Abu Dhabi based boat builder and manufacturer of Unmanned Surface Vessels Systems, has launched a training programme for Emirati engineering graduates, particularly those wanting to pursue a career in the marine robotics industry. The implementation of the initiative will begin in January, and will focus on the upskilling of UAE Nationals with a long-term view. Robotics, networking, communications and autonomy will be cornerstones of the programme, giving the engineers the ability to augment their existing knowledge base with real world applications. Seven Emirati engineers have already been earmarked for the programme, five being women. "In line with the UAE Vision 2021, we want to help increase Emiratization in the marine sector. Our aim at Al Seer Marine is to nurture the brightest Emirati minds with the drive, commitment and determination to succeed in the future,” said Alia Salem Al Shamisi, network engineer.